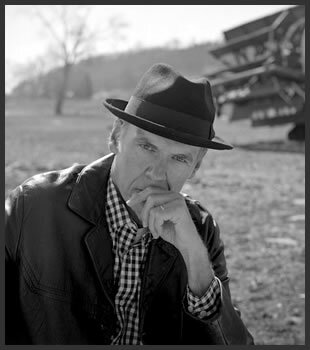 Hiatt’s songs have been recorded by artists as diverse as Bob Dylan, Bonnie Raitt (“Thing Called Love”), Emmylou Harris, Iggy Pop, Rosanne Cash (No. 1 Country hit, “The Way We Make A Broken Heart,” “Pink Bedroom”), the Jeff Healey Band (“Angel Eyes”), and B.B. King and Eric Clapton’s (“Riding With The King” title track from the Grammy-winning album). 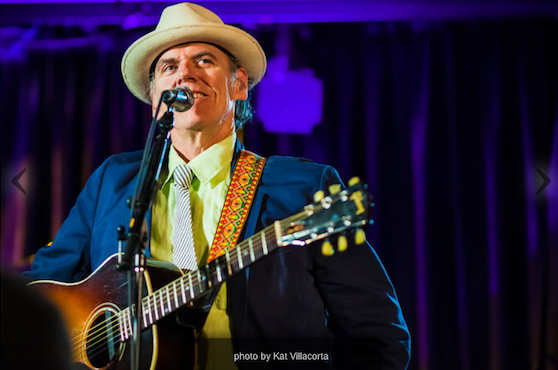 Among Hiatt’s honors are induction into the Nashville Songwriters Hall of Fame, and the Americana Music Association’s Lifetime Achievement Award for Songwriting. MusicRow: Do you prefer to write alone? John Hiatt: I’ve co-written on several occasions and had good luck with it. I’ve written with Fred Koller, a good songwriter, and we had success with “Angel Eyes.” It’s a beautiful song by the late, great Jeff Healy. But songwriting is a solitary process for me that I’ve enjoyed since I was 11 years old—when I learned two chords I wrote a song. It’s what I do. Co-writing is a very nice, communal, fun thing to do with other people. But I enjoy the process so much on my own, I just don’t do it much with other people. I’m not against it. Where do you write down your song ideas? I eschewed the legal pad six or seven years ago and bought an iPad. I got to the point that I couldn’t read my own writing. I couldn’t type worth a damn either but I forced myself to use it and lo and behold I started to enjoy it. You’ve got all your lyrics in one place. I was reluctantly brought into the age of technology and I fell in love with the damn thing. I hated having to do back-ups, then the amazing iCloud came along which does it for me. Has your inspiration changed over the years? Through the years I’ve employed all manner of tricks, which I guess all writers do. When I was younger, it was fueled by various crazy substances and living on the edge. Live hard, die young and leave a beautiful memory type-thing, but thank God I lived through that and came out the other side. The subject matter was different when I was younger. I left Nashville in the late seventies and went to California for five or six years and that’s when I burned the brightest in terms of living the crazy life. Coming back to Nashville and meeting a Nashville girl and having kids, I started looking at life a lot differently. I even had an office at one point, thinking I couldn’t write at home. And then thinking I couldn’t write on the road, well turns out I could write on the road. You employ all these tricks trying to force yourself to write and then as I got older I got more easygoing with the whole process. Now for the last ten to fifteen years, it just comes when it comes. I’ve never been a write-on-a-dime kind of songwriter. I’ve made my own records and people have learned about me as a singer-songwriter. It’s been a fortunate twist that other artists have covered my material. People have asked me to write for them, but I’ve never been able to do that. I’m not a custom tailor type songwriter. I really admire these songwriters that do specifically that for a living: write songs for other people. My only goal has been writing songs for my next record, so when I’ve got a good bunch of songs it’s time to make the next record. Many of those day-to-day songwriters count you as an influence. I’m flattered. Sometimes you influence if you just don’t die. (laughs) You hang around and keep putting stuff out and maybe somebody will hear about you eventually. It’s an honor to keep doing it. It’s a privilege to do this work, to make music. I landed in Nashville in ’71 when I was 18 and it was a fascinating time. The subculture was bubbling up with people like Guy Clark and Townes Van Zandt. And Steve Earle showed up a few years later. Bands like Barefoot Jerry were playing and the whole Southern rock thing was just lifting off. I was lucky to show up at that time and watch this whole other thing take off. It was a whole different city then. And to be here now and see it become the capitol of music, not just Country music, it really truly is Music City today and it’s exciting. Any wild stories from the seventies you want to share? (laughs) Oh my God. The first night I came I slept in Centennial Park under a picnic table and nobody batted an eye. In those days homelessness, vagrancy, wasn’t a big deal. All the successful songwriters had house boats on Old Hickory Lake and I got invited out to one. They all looked like whore houses. (laughs) They were dreadful. In those days it was those horrible one-piece jumpsuits these guys were wearing with the huge V-neck collars and walking around with beautifully coiffed preacher hair— hairsprayed to death. Man, it was a fantastic world I’d been dropped down into. It was pretty wild, and lots of drinking at the various establishments. For a kid from 300 miles north in Indianapolis, Indiana, in those days coming to Nashville was like you might as well have come to Mars. It was that different of a place. I fell in love with it. How did you go from sleeping under a bench to hanging out on the house boats? I spent about two weeks trying to get a publishing deal with this terrible tape I’d made with my buddy who had a couple of two-track tape recorders. Finally I wound up at Tree Publishing. I’d met Bob Frank, a folk singer from Memphis, who had a deal with Vanguard Records and a publishing deal with Tree. He said Tree was paying him 25 bucks a week advances. So I waited until the last day, until my money was gone and I would’ve had to go back to Indianapolis, to go to Tree. Having struck out with the tape at all the other places, I decided to sing the songs. Larry Henley, who co-wrote “Wind Beneath My Wings,” sat me down and I sang a couple of songs. He called Buddy Killen down and I sang a couple more for Buddy. They said “what are you looking for?” I said, “25 bucks a week.” They said “ok.” And I walked out of there fifty feet tall and bulletproof. I had succeeded. I was making money doing what I loved. I got a room in a boarding house on Music Row, where about five other songwriters lived. I was paying 11 bucks a week for a room with a bare spring bed, a hot plate and a bare light bulb. I spent the other 14 bucks on cans of beans, cheap cuts of bologna, roll-your-own cigarettes, and quarts of beer. All up and down Music Row, you’d have a house full of songwriters next to a publishing company. Half the house would be songwriters, and half would be working class, blue collar, regular people or down-and-out folks. We were all mixed together, that was the beauty of it. The Country music business was not that big in those days—50,000 records was a huge record—it was very accessible. I wasn’t writing Country songs and they didn’t know what to do with me. I was a big r&b fan. Honestly, other than Hank Williams and knowing that Buddy Killen produced Joe Tex, I didn’t know what Country music was all about. I’d go in to Tree and hand him my quirky, weird, bluesy, folksy, rock-y songs and they’d let me make demos in their little four-track demo studio. I’d hang out with guys like Bobby Braddock, who wrote all the great George Jones/Tammy Wynette songs like “D-I-V-O-R-C-E” and “He Stopped Loving Her Today.” He was a character, he kind of mentored me. So I was around all these great friggin’ writers and I didn’t even know how great they were. It was just like osmosis. I was so fortunate to be here at that time.